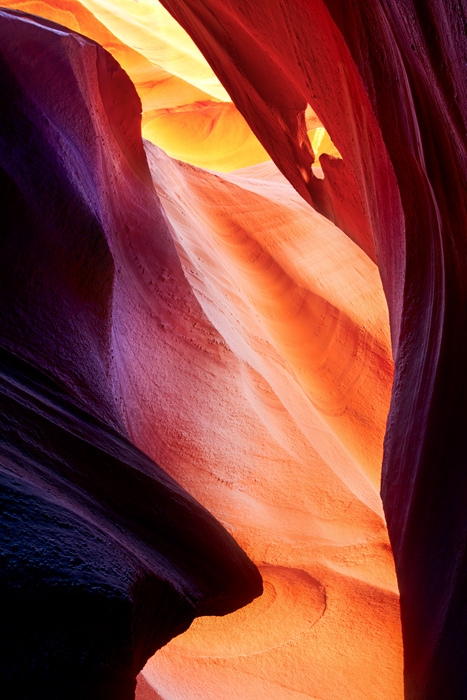 Intense arrays of colors decorate the sandstone walls of Antelope Canyon. Here the small hole in the rock adds texture and character to the already beautiful scene. Lower Antelope Canyon is called Hazdistazí (advertised as "Hasdestwazi" by the Navajo Parks and Recreation Department), or "spiral rock arches" and is located within the LeChee Chapter of the Navajo Nation.